I love old, German OUs–especially smallbores. And the 20 gauge you see here really has my heart pumping. 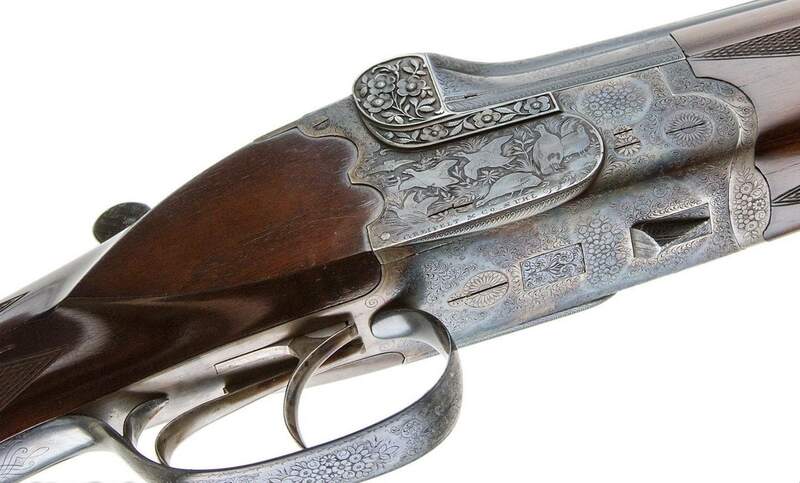 Greifelt & Co used to be a major German gunmaker. Founded in 1885 in Suhl, the company went bust in 1945 at the end of WWII. 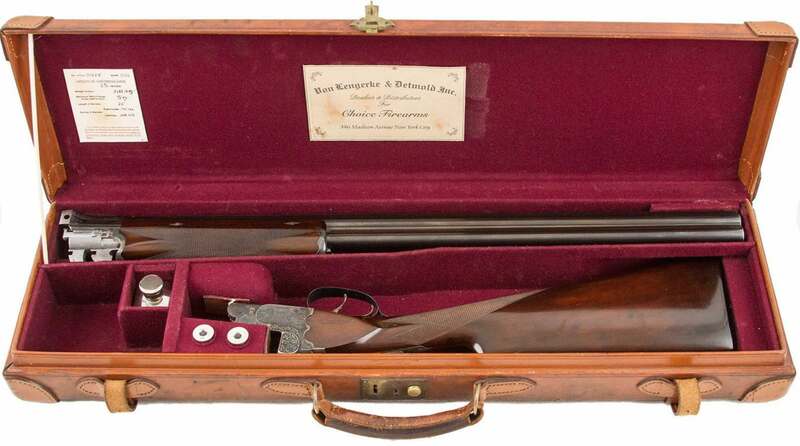 In those 60 years, they exported shotguns and rifles throughout the world, including to Von Lengerke & Detmold (which was purchased by Abercrombie & Fitch in 1929). 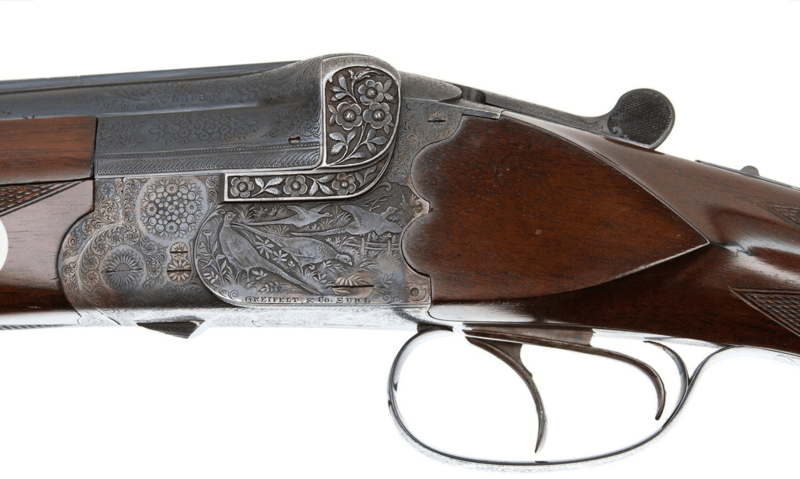 This gun is typical of the German-style OUs that companies like VL&D imported into the US. It looks like it’s built on a Blitz-style triggerplate action with double Kersten locks. I love the engraving and the carving on the metalwork as well as the horn drop points on the stock. All very classy. German over-unders like this were part of the first wave of the OU revolution that started in Europe and the UK before the first World War and then boomed in the US in the 1950s with the Browning Superposed.